Does anyone have the punch from their hellion kit for a few bucks?? I do not think I could trust that method; I would rather have a bung welded on, that is what I ended up doing when I did my kit. I have seen that method have oil leaks, not big, just minor drips here and there. but, if you are looking for alternatives without dropping your pan, I know some guys that bought a large brass plumb bob at Home Depot or Lowes and used that instead. It worked for them. I'd still prefer to drop the pan and weld an AN fitting on it. Agreed. I also don't like the hole punch method. Pull the pan and get a bung welded. 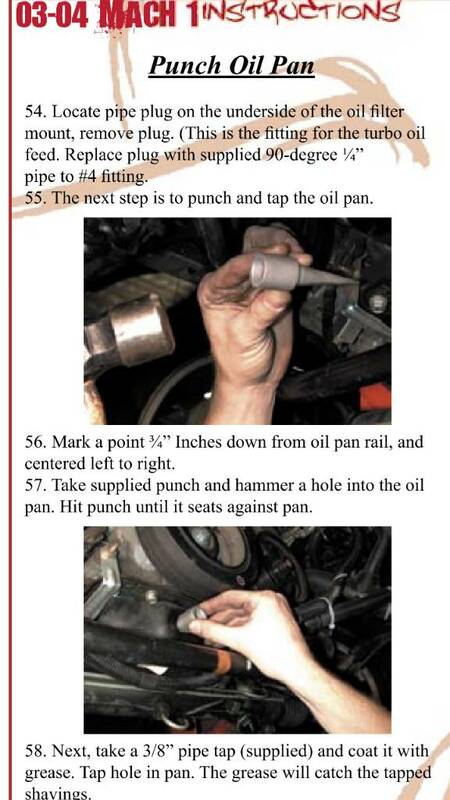 This would also be a good time to get a larger capacity oil pan.